My track record on IPO is not really rosy. (lol..I have NO track record with IPO) I never got allotted any IPO before. But that had not yet stop me from trying. Wanted to subscribe more lots but alas my bank transfer cannot make it time. Just notice this IPO this week as I was busy for the past few weeks. So there is the info on the IPO if anyone is interested. My cost for applying: Just RM2 using CIMBCLICKs. 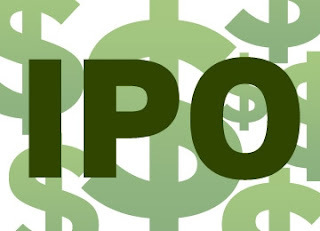 See here from my old post on applying IPO. PETALING JAYA: The three major shareholders of Gas Malaysia Bhd will receive a total of RM734mil from the sale of their shares in the former's impending initial public offering (IPO). Gas Malaysia's IPO will entail only an offer of sale of 333.8 million shares at RM2.20 a piece. The three main owners of Gas Malaysia stock are MMC-Shapadu (Holdings) Sdn Bhd (55%), Tokyo Gas-Mitsui & Co Holdings Sdn Bhd(25%) and Petronas Gas Bhd (20%). The three will rake in RM403mil, RM183.6mil and RM146.8mil respectively from the sale of Gas Malaysia shares. Post IPO, MMC-Shapadu would see its stake reduced to 40.7%, while Tokyo Gas-Mitsui at 18.5% and Petronas Gas with a 14.8% stake. MMC-Shapadu is a 76% owned subsidiary of MMC Corporation Bhd, while Shahpadu Corporation Sdn Bhd owns the rest of the stake, a company that dabbles in a diverse range of businesses ranging from oil and gas to property development. Let us know Kris! My record's zero too so far, last being PavREIT.